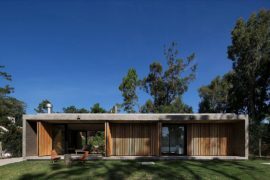 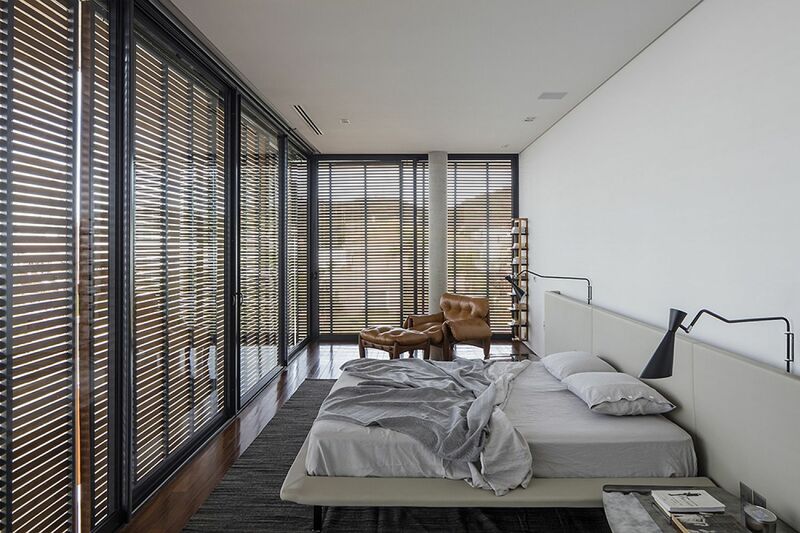 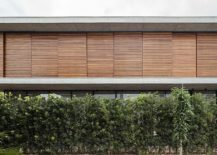 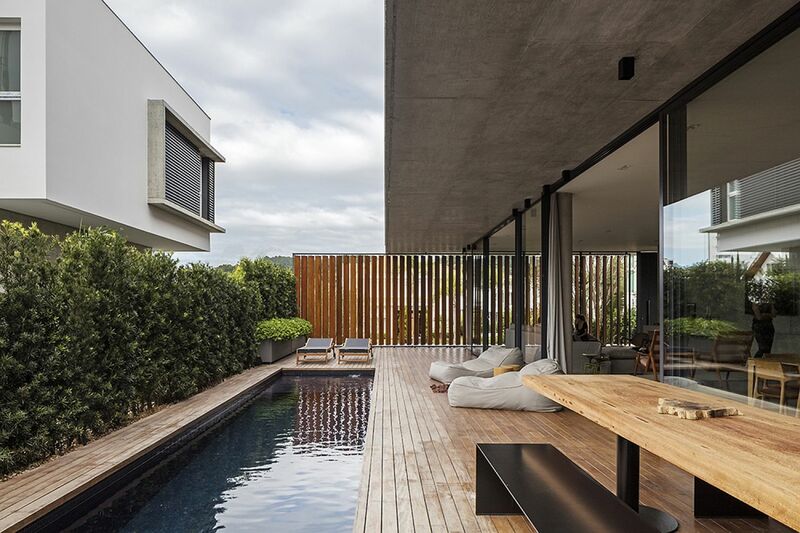 Draped ever so elegantly in a wood made of Cumaru, a Brazilian tree species, the Bravos House in the State of Santa Catarina, Brazil cleverly brings together privacy, solar shading and lovely views. 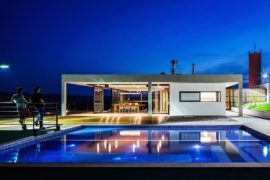 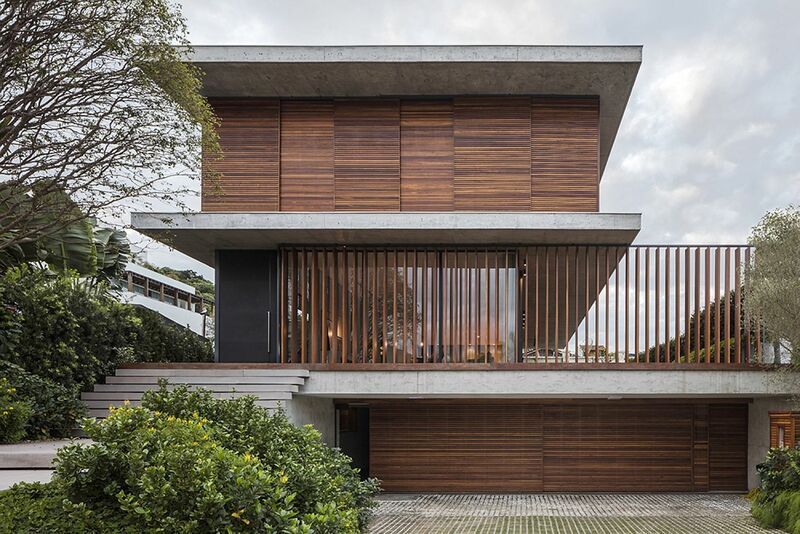 The 937-sqaure-meter contemporary residence was designed by Jobim Carlevaro Arquitetos keeping in mind the specific needs of the homeowners which included an open social zone and a dashing deck outside. 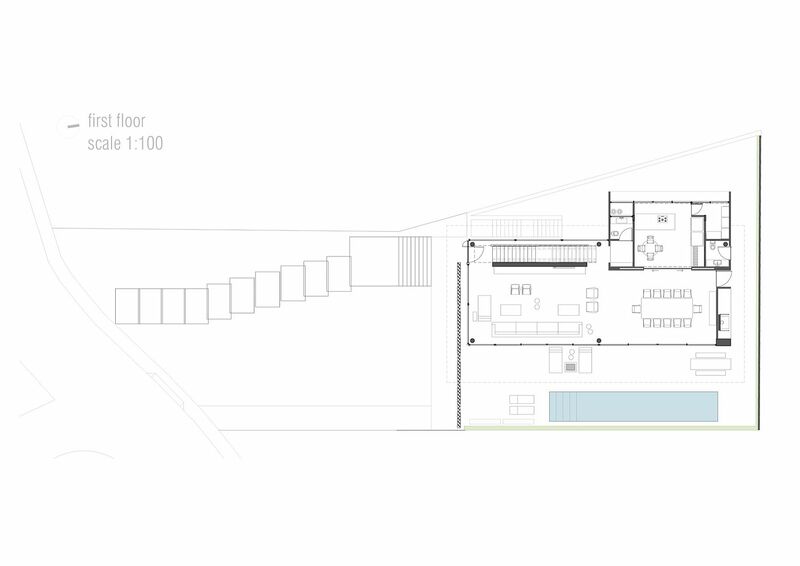 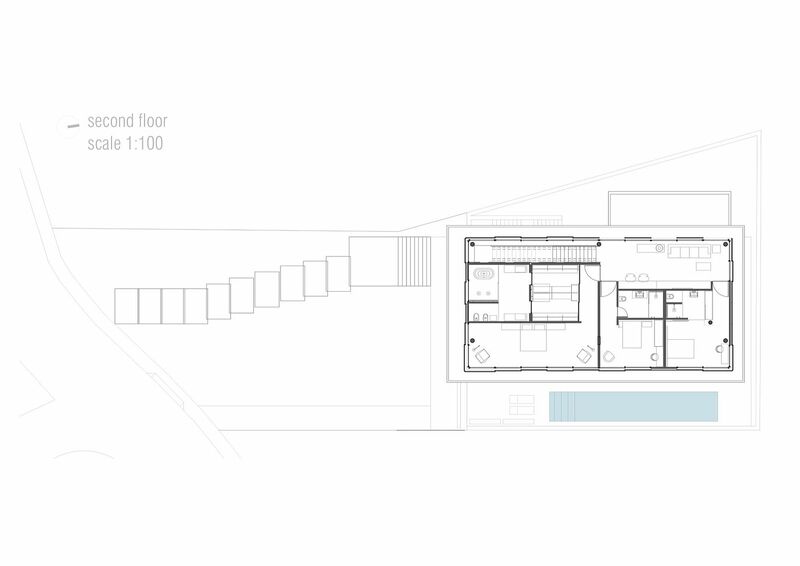 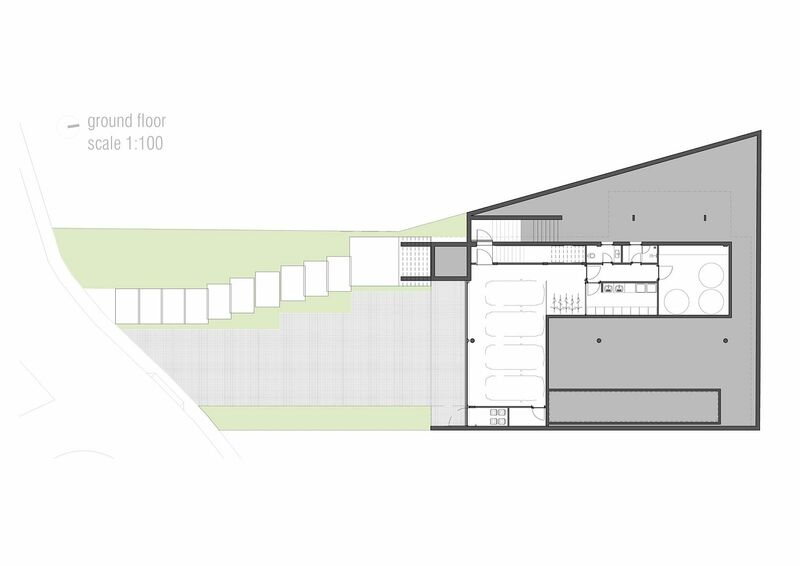 To ensure that the living room, dining area and kitchen flow seamlessly into the outdoor pool deck, a basement level parking was designed along with space for utility rooms. 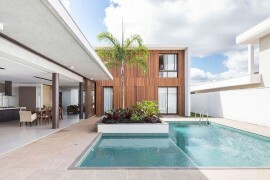 It is the ground floor that houses the open living area and the top level that contains the master suite along with other bedrooms and bathrooms. 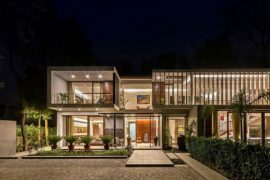 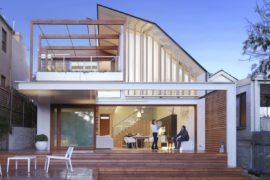 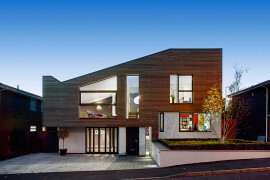 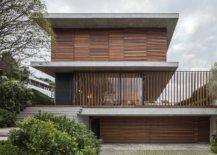 It is undoubtedly the exterior that steals the show at this flamboyant home with moving wooden panels on the top level and vertical brise soleil covering the ground floor giving the street façade a sense of uniqueness and inviting aura. 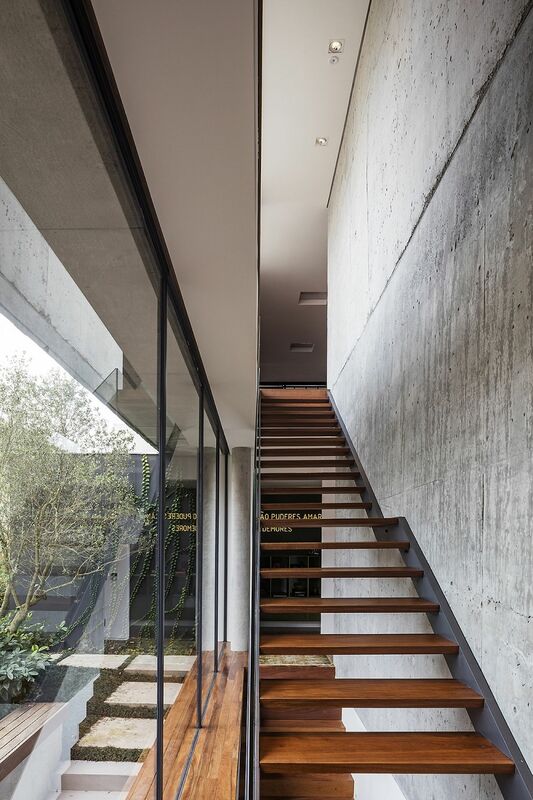 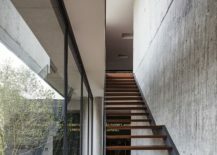 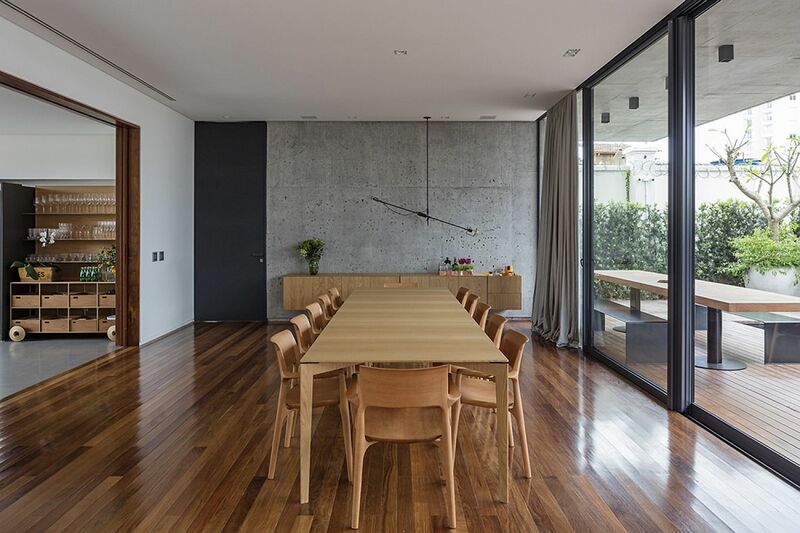 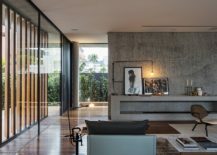 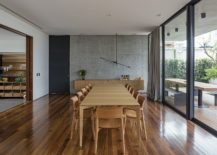 On the inside, concrete is coupled with warm wooden tones to present a balance of various textures even as sliding glass walls and floor-to-ceiling glass windows complete a contemporary setting. 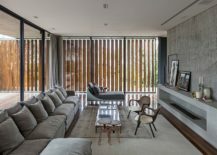 Despite the unassuming color palette, the use of various finishes along with a strong presence of natural greenery gives the house a relaxing, modern vibe. 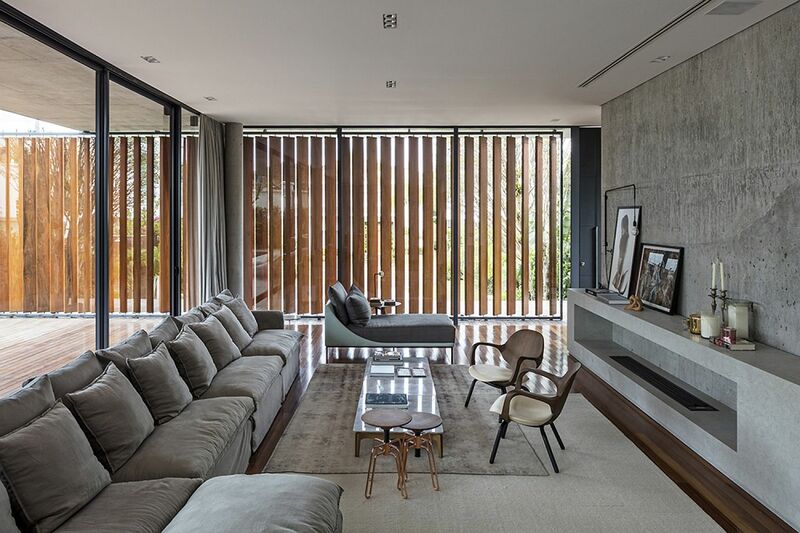 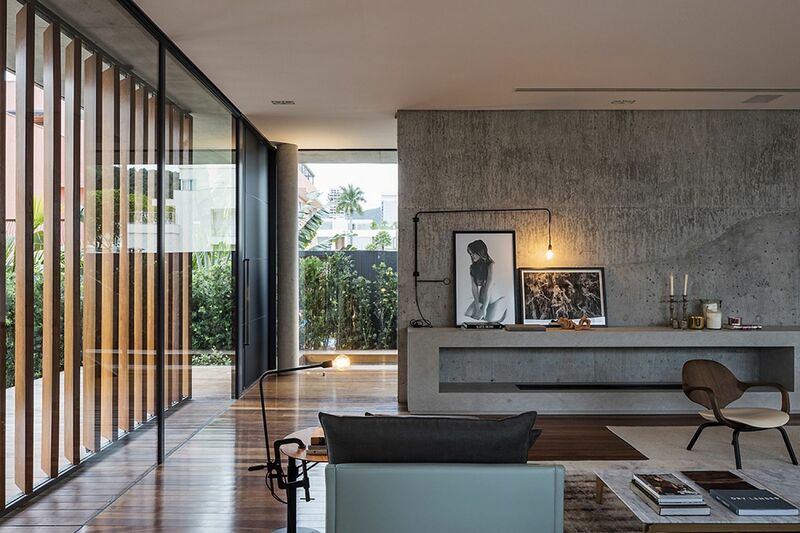 A beautiful Brazilian home that blends vernacular style with functional modernity!